Separators, we know who you are - you keep your cash in one pocket and your cards, etc in another. [We've spotted many of you in Manhattan!] 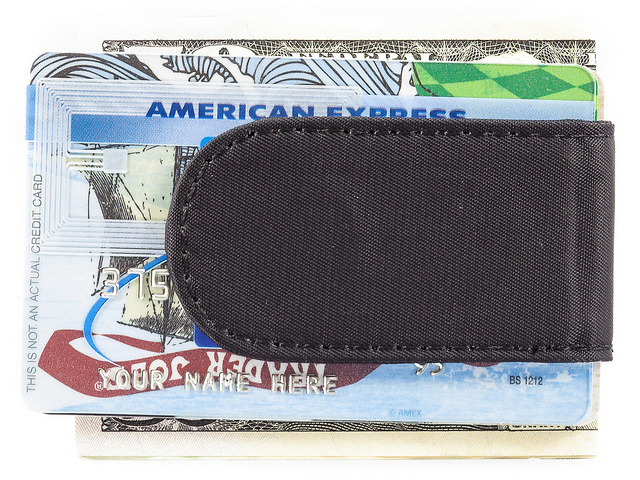 Instead of having it all loosely floating around in there, why not keep your greenbacks secure with our handy magnetic cash clip? Our study magnetic clip grips 20+ banknotes together in its firm grasp. 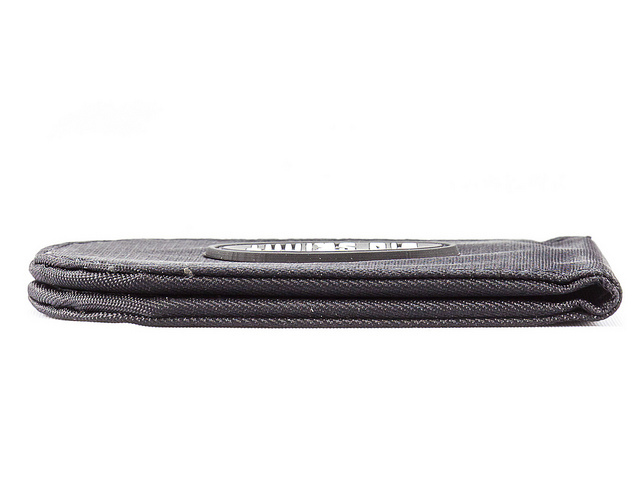 Its smooth, sleek design won't dig holes into your trousers like other metal clips. 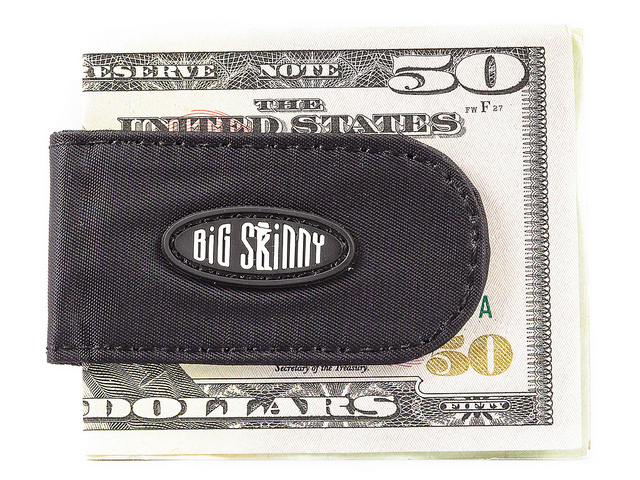 We hope you enjoy another smart design from Big Skinny! 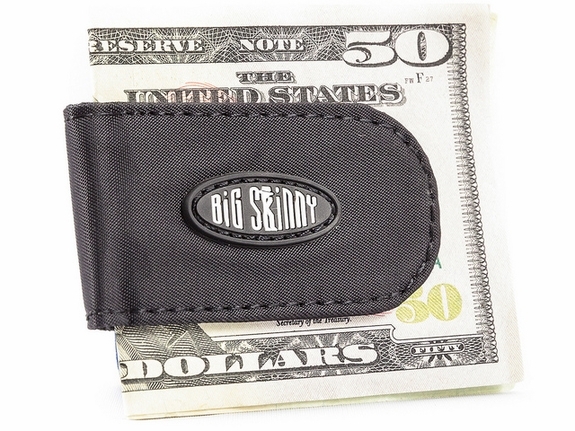 I find Big Skinny's Magnetic Cash Clip thinner and easier to use than other cash clips that I have which range from sterling silver to various leather ones. ProsThin & easy to use - love it !!! 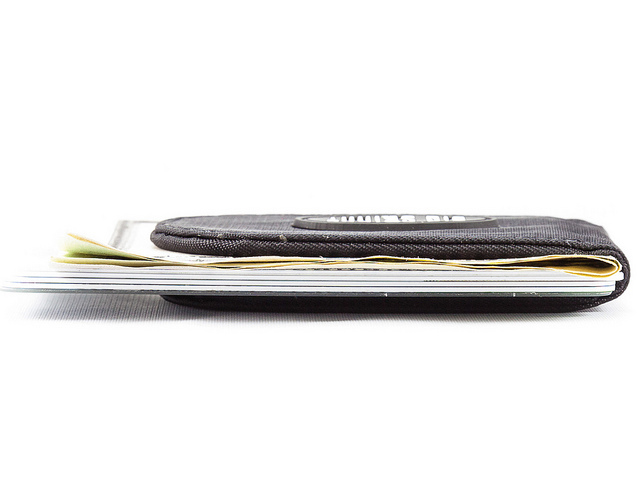 Have been looking for a new money clip for quite some time. This is great as it has no exposed metal. i have one of the new cases to protect credit cards and my current money clip was scratching it up looks bad. Would recommend it highly and Big Skinny should think about designing and selling on also. This was purchased as a Christmas gift for my husband. He loves it!!! He's very happy with the heavy duty magnet in it!! I like to keep my money in my front pocket in a clip away from my wallet. I also like to keep a thin pocket knife with me wherever I go (except a plane!). I didn't realize it when I ordered this magnetic money clip, but it sticks nicely to my knife and both are now married to each other. It keeps the knife from sliding around in my pocket and eventually poking holes in them. I love it - won't be without one of these clips.